Hero Aditya Om adopted Cherupally village (Near Bhadrachalam of Bhadradri Dist.) a year ago and established a Library and sponsored few Sports Kits and Solar lights to the village. This year he is coming out with making Cherupally village digitalized. He is running one NGO by name edulightment. As a part of social service he is empowering youth towards education and skill development. He adopted Cherupally village and dedicated for its development in the field of education. In this regard he is working with Anandam Foundation run by Film Producer Vijayvarma Pakalapati. As now country is moving towards cashless, I thought of establishing an online seva centre in Cherupally village. With the co-operation of Mr. A. Venkat Reddy of T-Seva on-line services, i am going to establish an on-line centre in Cherupally village. 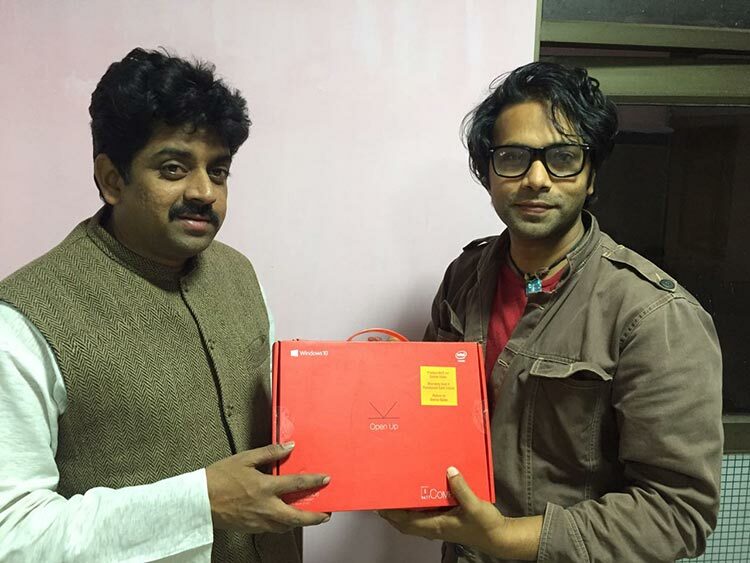 Already handovered laptops to Mr. Vijayvarma Pakalapati, founder Anandam Foundation. After resolving network related issues, soon max by Jan' end we will open an on-line centre in Cherupally village. This centre is useful for computer related training programs also 'Adityaom' said. I am also supporting sports tournaments happening during this Sankranthi in Cherupally village. With the best resources possible i am trying to do as many activities as possible. Aditya Om said.